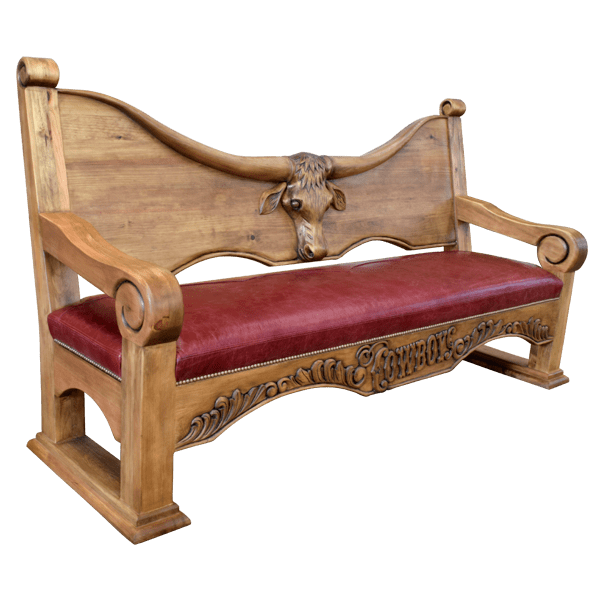 With its innovative design and hand carved details, this handcrafted, Western style bench will be a focal point in your home décor. The wide, rectangular seat has curved armrests that end in hand carved, scroll details. The seat is upholstered with beautiful, red patterned, full grain leather, and the leather is hand tacked to the seat with beautiful, gilt nails. 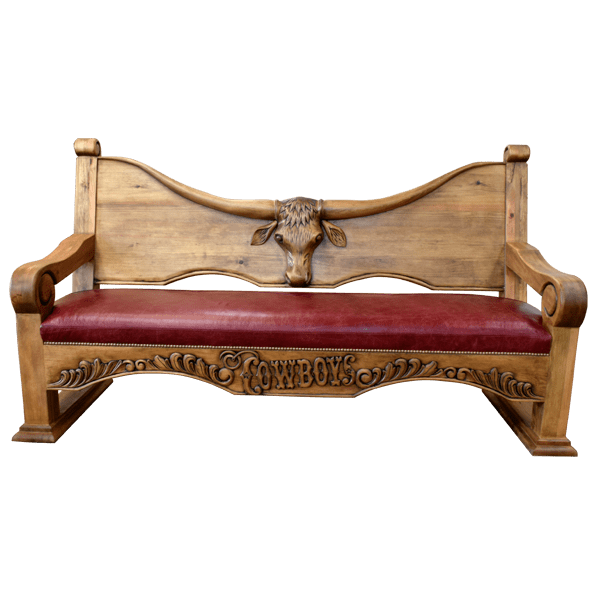 The bench features a curved, solid wood seatback adorned with an incredible, hand carved, longhorn bull head with wide horns. The horns extend to the scrolled uprights on each side of the seat back. 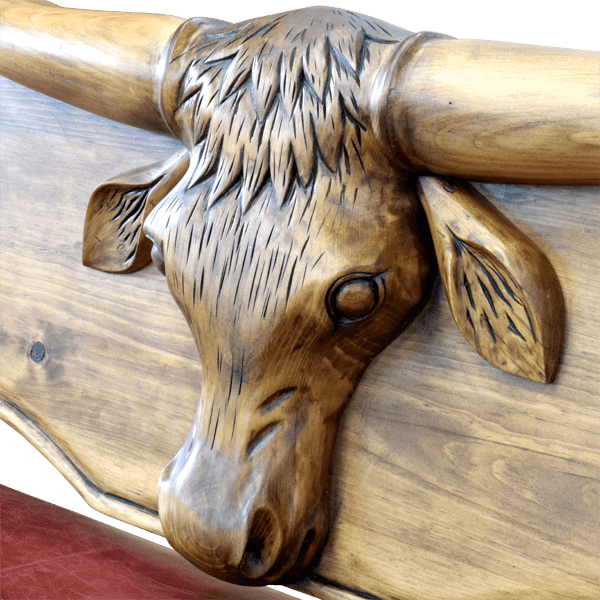 We can hand carved any designs that you would like to accompany the bull head, including your ranch brand or your initials. 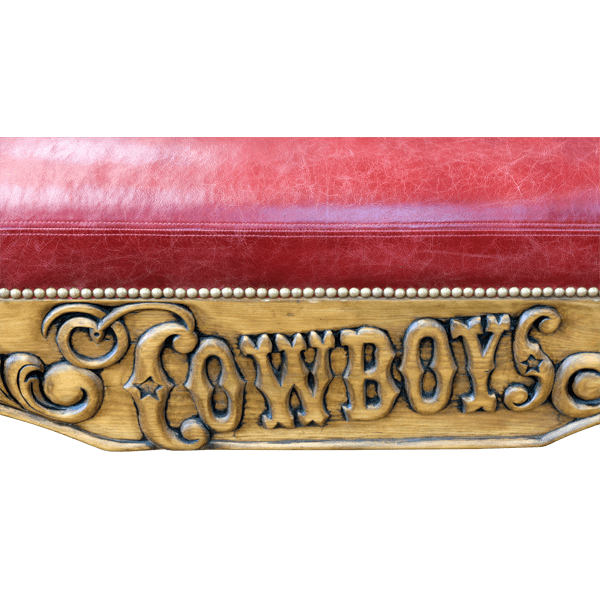 The bench has a front, curved apron, and centered in the apron is the hand carved word, “Cowboys”, with gorgeous, hand carved, floral and scroll designs on each side. It rest on rectangular cut, staggered legs. The bench has a lovely, light finish, and it is made with the best, sustainable, solid wood available. It is 100% customizable.